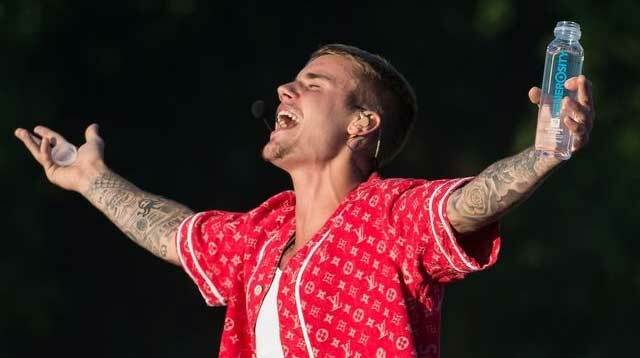 It came as a surprise to Beliebers everywhere last month when Justin Bieber suddenly canceled the rest of his "Purpose" tour "due to unforeseen circumstances." Aside from one quick run-in with TMZ where he apologized to disappointed fans, Justin hasn't really explained why he chose to cancel, but on Wednesday, he shared a lengthy statement via Instagram that offers a little bit of illumination. Forgoing the standard celebrity use of the Notes app, Justin appears to have typed up the statement on a computer and then photographed it. He started by saying he's thankful for the fans who've supported him in all his ups and downs, seemingly knowing that the "downs" included moments like "throwing a fan's gift out a car window." "Learning and growing hasn't always been easy but knowing I'm not alone has kept me going," Justin wrote. "I have let my insecurities get the best of me at times, I let my broken relationships dictate the way I acted toward people and the way I treated them! I let bitterness, jealous, and fear run my life!!!!" He then went on to explain that the reason he canceled the tour is what John Mayer theorized all along—his health. "Me taking this time right now is me saying I want to be SUSTAINABLE. I want my career to be sustainable, but I also want my mind, heart, and soul to be sustainable. So that I can be the man I want to be, the husband I eventually want to be and the father I want to be." He ended by admitting that the message is "very grammatically incorrect," but said he's OK with that because "there's something special about imperfections." There's also something special about John Mayer, who, according to Justin, is "a boss on every level."